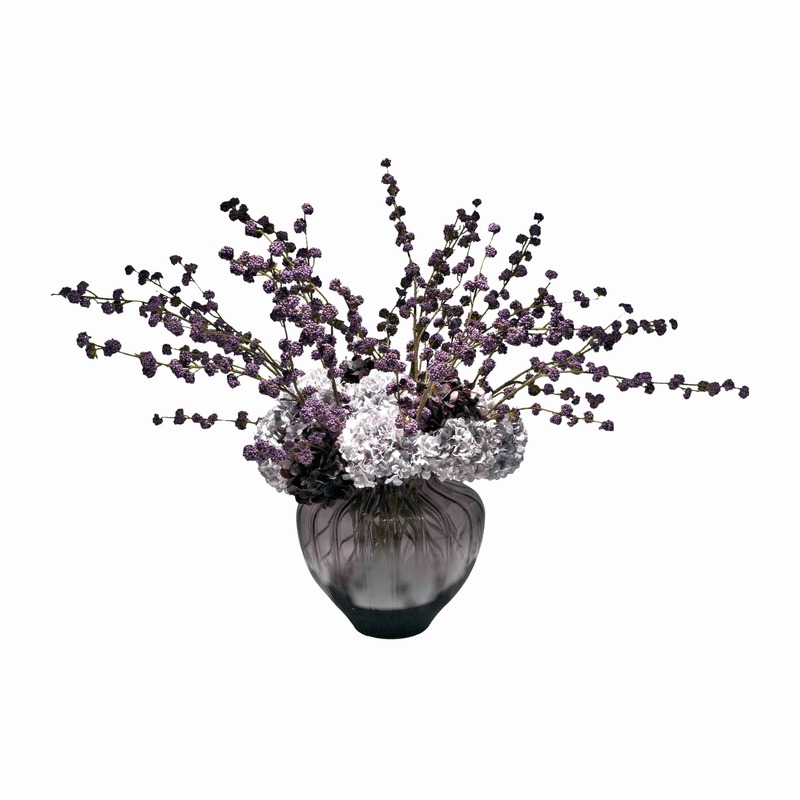 A spacious display of unique callicarpa purple berries striking out from plush silk burgundy and blue hydrangea flowers. 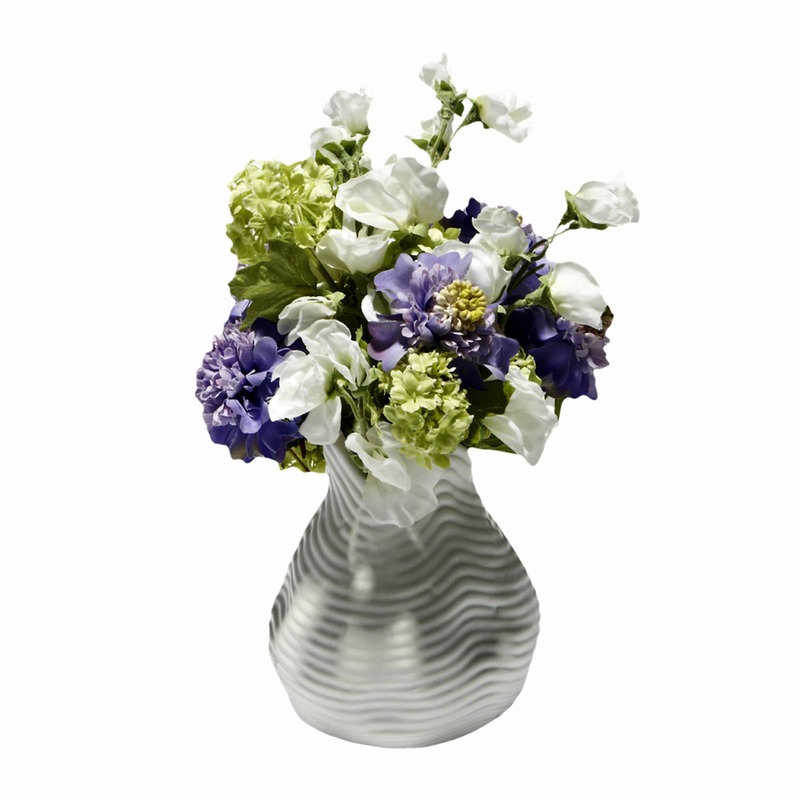 The shades of blue and purple are eye catching yet calming colours all complimented in a purple glass bowl vase. 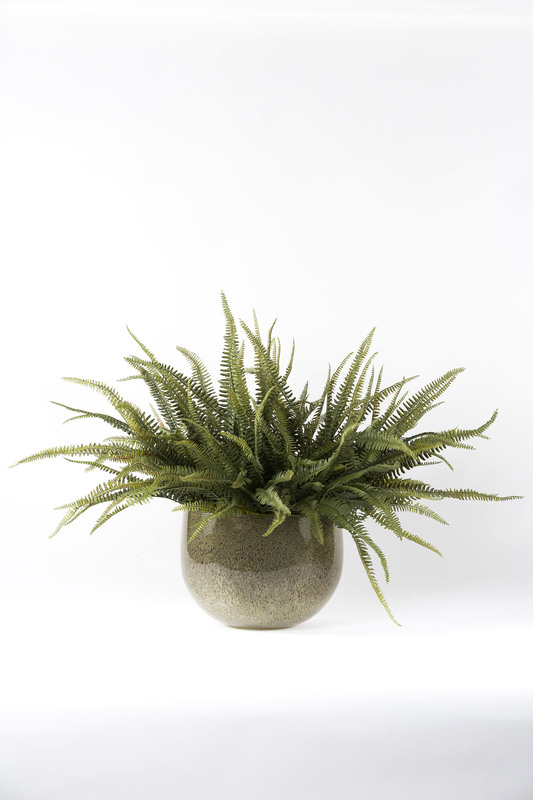 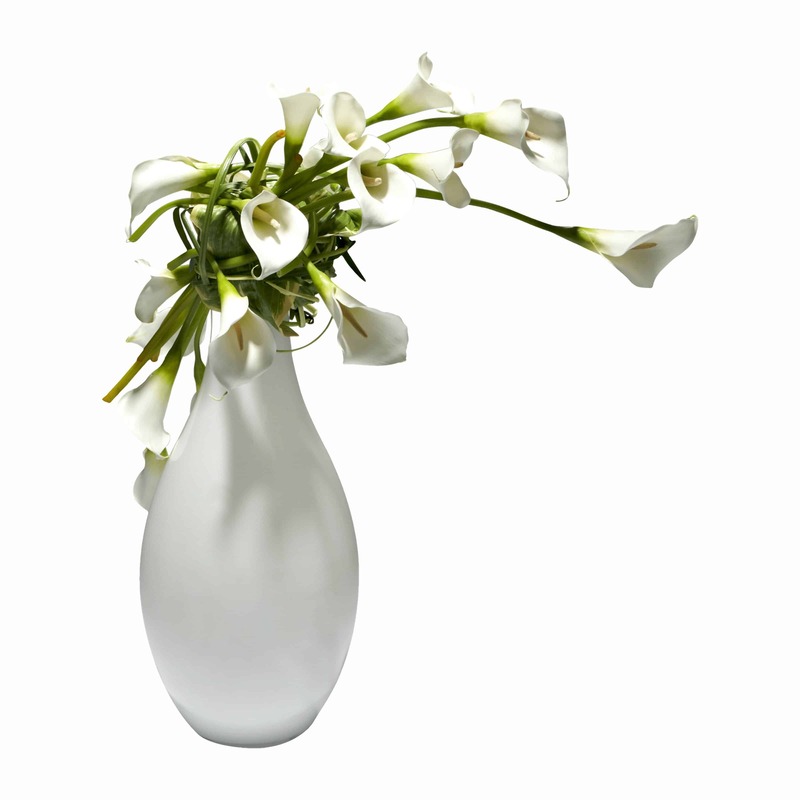 This arrangement makes a bold statement without being brash. 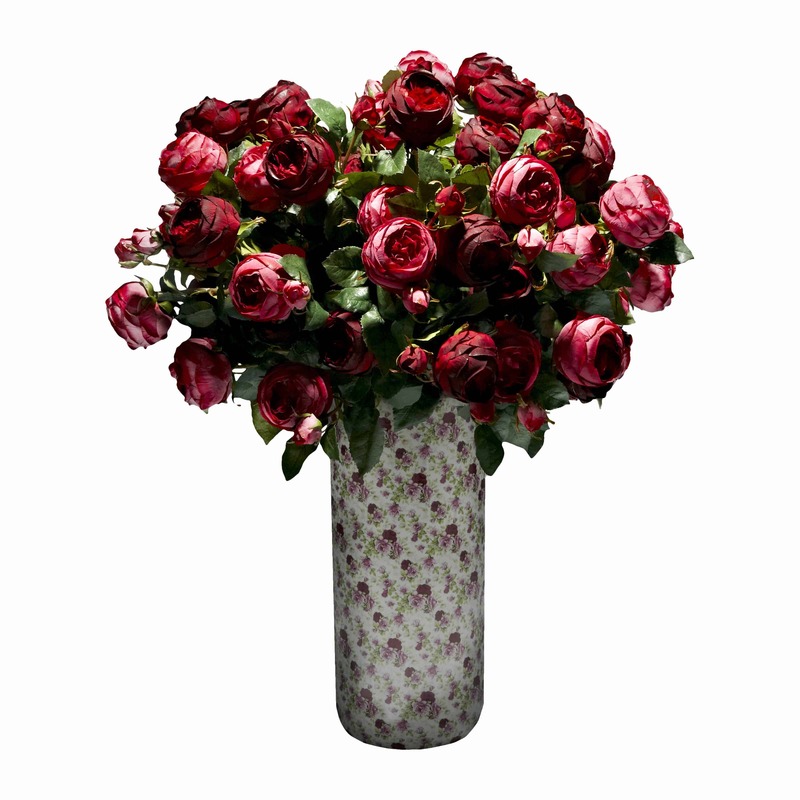 A welcoming presentation ideal for large reception or lobby.